Absorption occurs when a smaller church merges with a larger healthy congregation. The larger church absorbs or adopts the smaller church but doesn't change its name or its approach to ministry. For the smaller church this type of merger may be a positive alternative to closing. The members of the adopted church are able to continue to worship and fellowship with their friends. They can also see how their remaining resources strengthen the ministry of the larger church. The absorbed congregation can serve as the custodian of the smaller church's heritage and records and usually carries on some of the traditions of the smaller church. In the fall of 1992 the leaders of Peace Lutheran Church in Cedar Rapids realized that the church could not sustain itself beyond the middle of 1993. The Peace church council sent letters to the 3 closest ELCA churches to inquire about their interest in merger. 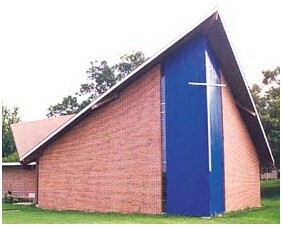 Peace wanted the merger to take place before mid-1993, and it wanted its pastor to continue to serve the blended church. Holy Redeemer was receptive to such a merger, provided that its name and constitution would be retained. Holy Redeemer agreed that Peace's pastor could become the associate pastor of the blended church. The churches began worshiping together on Palm Sunday in 1993 and legally merged after Peace's building was sold that fall. The ministries and members blended easily, but for various reasons the associate pastor's position was ended in late 1994. Holy Redeemer continues to be quite stable. Since 2000 its worship attendance grew by about 2% in an area where the population grew by 1%. For more information see the Holy Redeemer web site. Just over four years ago a small declining church contacted Shelter Rock Church in Manhasset, NY, a big healthy congregation about 20 minutes away. Shelter Rock took over the dying church as a second campus. Shelter Rock provided new staff and remodeled the building. The result was significant growth--even former members of the former church returned to the new vibrant congregation. More information is available in the article, "Mergers with Larger Churches Revive Dying Ones." In Lincoln, Nebraska Prince of Peace Lutheran Church was stuck. While it wasn't declining, its 80 active members were aging and its options were limited. On the other side of town Sheridan Lutheran Church was bursting at the seams with 1,500 at worship. In July, 2008 the two congregations merged in order to form a new satellite congregation, Spirit of Hope, in a nearby shopping center. See this article from the Lincoln Journal Star to read the whole story. The charts on the Continuation Merger page show that absorptions have a stronger track record than either of the other types of mergers. It should be noted, however, that there aren't many examples of blending by absorption among mainline churches, so the chart is based on a sample of only four churches. Absorptions are more common in evangelical churches, which generally use the term "adoption" instead of "absorption".